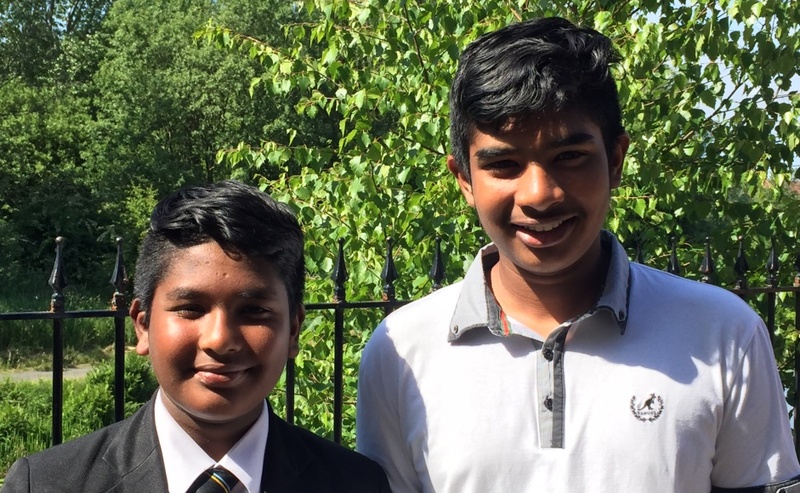 Jeremy Corbyn has joined the fight to stop two teenage Christian brothers from being deported to Pakistan. The Labour Party leader said it was time to put the H for Human into immigration policy and allow Somer and Areeb Umeed Bakhsh to stay in Glasgow. 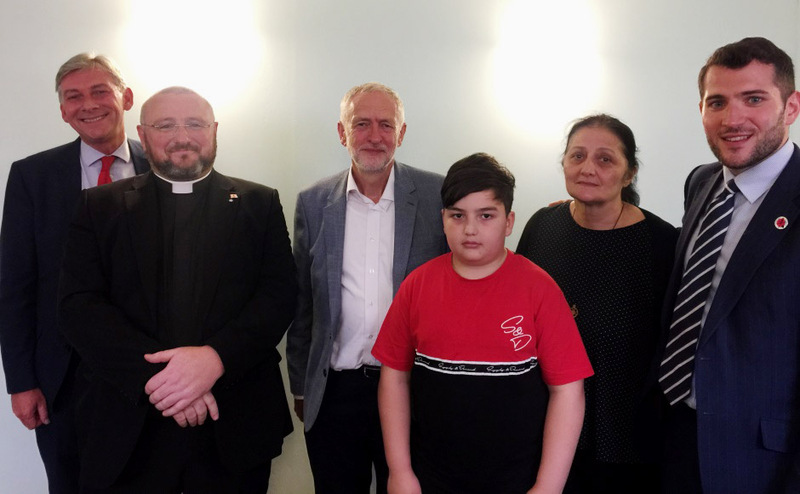 Mr Corbyn made the remarks after meeting the brothers and their parents, Maqsood and Parveen, at the city’s Possilpark Parish Church today. He and Scottish Labour Party leader Richard Leonard spent around an hour with the family, listening to their story, and those of many other asylum seekers supported by the Kirk. 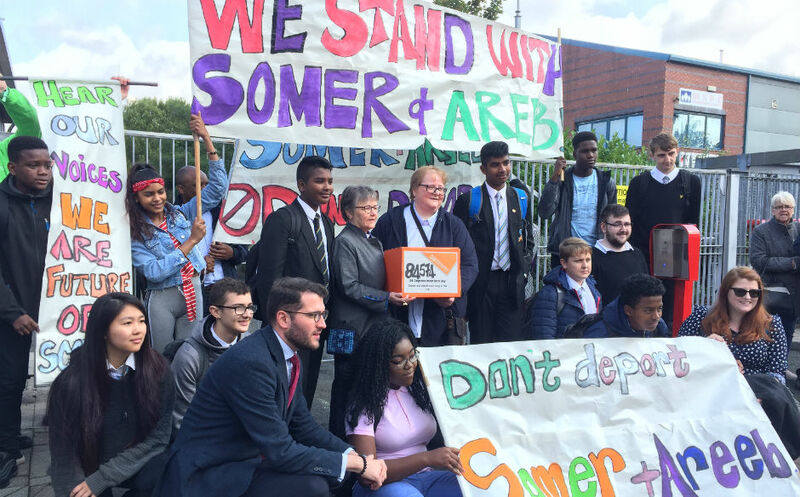 Nearly 83,000 people have signed a 38 Degrees petition calling on the Home Office not to deport Somer, 15 and his brother, Areeb, 13. They fear they will be killed by Islamic extremists if they are forced to return to Pakistan. Somer and Areeb have lived in Glasgow with their parents since their family fled the Muslim country in 2012 after their father was subjected to death threats due to his Christian faith. Mr Corbyn said: “Well done to people who have signed the petition and are supporting humane treatment of fellow human beings. “Let’s put the h word - human - into our processes. Mr Bakhsh has two masters degrees and worked as a data analyst in Pakistan and his wife is a trained nurse and midwife. The couple would dearly like to work and make a contribution to the country they call home but they have been banned due to their immigration status, which also means they are not allowed to drive. Mr Corbyn said: “What a crying shame and a waste - two parents in this country who are able, intelligent and very well qualified. “They should be working in our public services or the private sector and able to contribute to our society which is what they want to do. The catalyst for the family’s move to Scotland was the murder of two Christians who were gunned down outside a court, while in police custody, in the city of Faisalabad in July 2010. Pastor Rashid Emmanuel, 32, and Sajid, 24, were accused of writing a pamphlet critical of the Prophet Muhammad that flouted Pakistan’s controversial blasphemy law, which carries the death penalty. Christians are a minority group in Pakistan and have been repeatedly targeted in a string of deadly terrorist attacks claimed by Islamic State in Iraq and the Levant in recent years. Mr Bakhsh said he was very pleased that Mr Corbyn took the time to meet him and his family. “We are very encouraged by his support for us and we hope it will lead to good news,” he added. The Bakhsh family’s case has been taken up with the Home Office by Paul Sweeney, MP for Glasgow North East. He said: “This is a very powerful intervention from Jeremy Corbyn as the leader of the Labour Party. “Putting human dignity back at the heart of our politics is crucial. “The Church of Scotland and the congregation at Possilpark Parish Church has shone a light on the real suffering of people in our community. Rev Linda Pollock, minister of Possilpark Parish Church, is leading the campaign to stop the family being deported. “It is commendable that Jeremy Corbyn came to the church and met asylum seekers,” she added. “It is a bit of a relief for the family that someone in a position of influence is taking an interest and sees them as human beings, not just a statistic and a number. 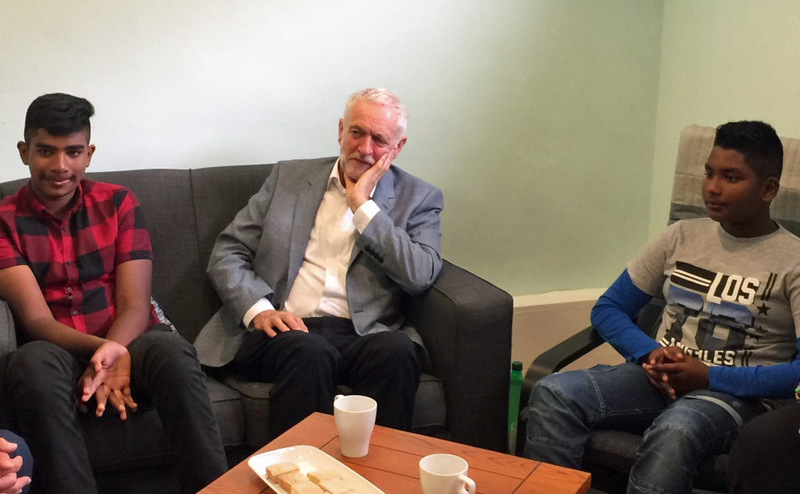 Mr Corbyn also met 10-year orphan asylum seeker Giorgi Kakava and his grandmother Ketino Baikhadze. The pair, who are being supported by Rev Brian Casey of Springburn Parish Church in Glasgow, have been given permission to stay in the UK for 30 months. The minister said he hoped that Mr Corbyn’s visit would help to keep the two cases in the public eye. “As he said, we need to take the ‘H’ from hostile and put it into human,” added Mr Casey. The Kirk is a leading member of the ;Scottish Faiths Action for Refugees group. Moderator of the General Assembly, Right Rev Susan Brown, said the Christian faith calls on its followers to take care of the stranger and the foreigner, especially the vulnerable.